Housing systems that cause disease or injuries to animals are clearly undesirable. Injury and disease compromise dairy cow welfare and can reduce longevity and production. 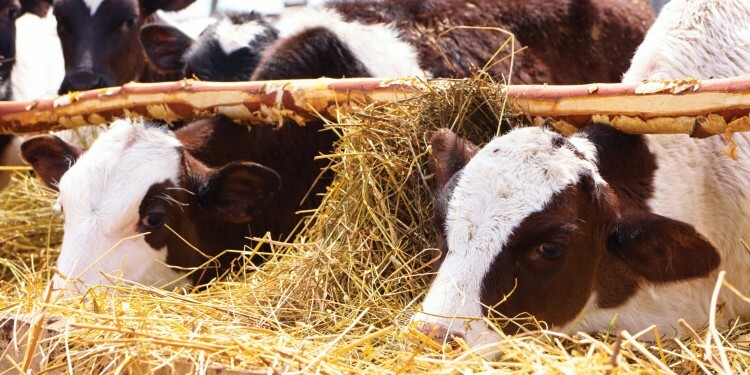 Lameness, mastitis and transition cow diseases are now widely recognized as serious animal welfare and production issues in the dairy industry. Skin injuries on dairy cows should raise similar concerns but have received much less attention until recently. Skin injuries on cattle tend to occur on areas that are in contact with elements of housing, with the most common injuries observed on the knees and hocks. These injuries range from a small area of hair loss to open wounds, and are sometimes accompanied by infection and swelling of the joint. Unlike lameness, hock lesions are obvious to anyone who cares to look and can be easily assessed in the milking parlour. managment (including stall dimensions, bedding practices, and stocking density). We have now visited hundreds of dairy farms throughout North America. In this Research Report we describe the results for 42 farms in BC, 38 farms in California (CA) and 38 farms in the North Eastern US (New York, Vermont and Pennsylvania; NE). For more details on the methods see Research Report Vol 13, No 2. The aim of the benchmarking was to provide the participating dairy farmers with data from their own farm, together with averages from other farms in their region, to help them identify problems and set priorities. Each farmer was provided a confidential report they could use (ideally together with their farm staff, veterinarian, hoof trimmer and nutritionist) to develop tailored solutions for their own farm. In this Research Report we describe the hock and knee injury results (see Research Report Vol,13,No2 for lameness results). Approximately 40 cows on each farm were scored for hock condition (lateral surface of the tarsal joint) on a 3-point scoring system; where 1 =healthy hock, 2=bald area on the hock without evident swelling, and 3=evidently swollen and/or severe injury (Figure 1). We recorded the % of cows scored with a visible hock injury (i.e. score ≥ 2) and % with severe injury (hock scored = 3). The prevalence of hock injuries varied among regions, from 42% in BC, to 56% in CA, to 81% in NE (Figure 2). The prevalence of severe hock injuries was 4% in BC, 2% in CA and 5% in NE. Our results show that these injuries are all too common, but within each region some producers are able to achieve good levels of success in keeping the % of cows affected low. Cows were also recorded for swollen knees (carpal joint); injuries were recorded as present (evidently swollen joint with or without skin damage) or absent. Knee injury was not scored on farms in BC. Swollen knees were rarely observed (less than 1% of cows affected) in CA, but relatively common (23% mean prevalence) in NE. The good news is that in some farms within each of the regions had very low rates of either hock or knee lesions, suggesting that other producers in these regions could learn from these more successful producers. reduced by using deep bedding and that lesions are more common on farms using poorly bedded surfaces like mats and mattresses. This effect helps explain why lesions are so common in NE where poorly bedded surfaces are the norm. Ourrecent work in CA and NE has also shown that hock injuries are highly dependent upon bedding management. Most dramatically, in the NE, use of deep-bedded stalls reduced the odds of hock lesions by 95%! Other management practices linked to reduced hock injuries included clean bedding, access to pasture during the dry period, and avoiding the use of automatic scrapers for manure removal. In CA (where all the herds assessed had access to deep bedding) hock injuries were far less common, and farms with well-maintained stalls (i.e. level in the stalls) had the lowest rates. 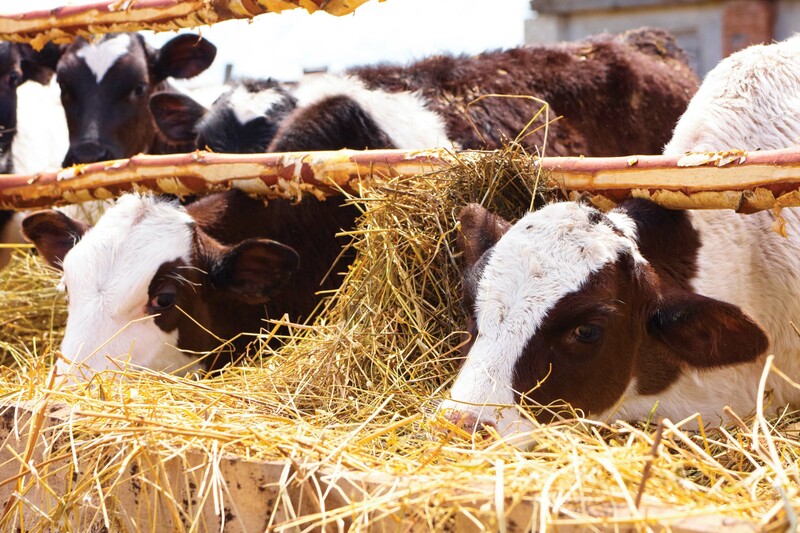 Thus across regions, farms that use well-maintained, deep-bedded stalls had fewer cows with hock injuries. Access to deep-bedded stalls and well-bedded outdoor dry lots also likely explains the low % of cows with swollen knees in CA versus the NE; we are now working on further analysis to identify the risk factors for swollen knees. Benchmarking programs, like the one we described here, allow producers to compare their performance with averages in their region and provide a basis for informed discussions with professionals involved in farm management (e.g. nutritionist and herd veterinarian). In the case of hock injuries one solution is obvious – the risk of hock injuries can be much reduced by using deep-bedded stalls.